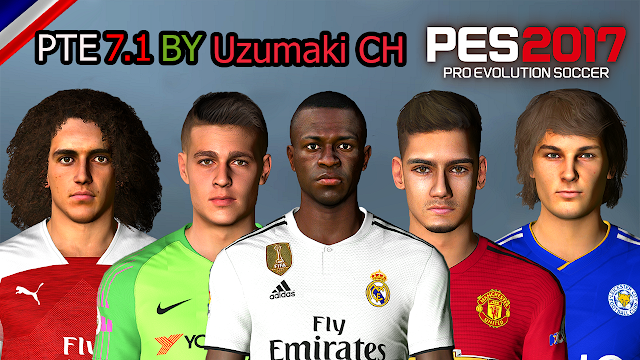 Update Patch PES 2017 dari PTE V7.1 Unofficial – Berikut fitur dan penampakan update patch PES 2017 dari PTE V7.1 Unofficial. By Uzumaki CH. Update new players and other players who don't have faces. Update minifaces of the players in the Premier League. Open "Best SweetFX for Pes 2017" folder and copy all files to pes 2017 intallation folder (REPLACE). Open "download" folder and copy all files to pes 2017 intallation folder\download\HERE. Copy "save" folder & Paste the new EDIT00000000 to "Documents\KONAMI\Pro Evolution Soccer 2017\save" and overwrite the old one.